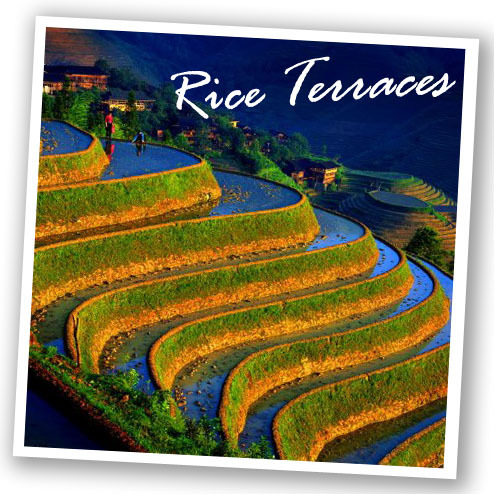 The steepest rice terraces in the World with sloping grades reaching 50 degrees, have been sculpted by generations of farmers beginning in the Yuan dynasty to shape the hillsides into grand agricultural pyramids! The slopes are infinite in scope and, at an altitude of 1,100 meters, seem to have no bottom or peak. It is simply breathtaking.